The patient experience may be the most important marketing tool for practice growth. Unfortunately, most dental practices do not understand how marketing relates to the patient in the chair. Let’s start by agreeing that nobody wants to give up a couple of hours of their lives to sit in a dentist’s chair. Now think about why they choose to sit in your chair and not the one down the street. In today’s market a patient will choose a dentist for a few simple reasons, Insurance, fee schedule, location or recommendation. After they decide on you and the appointment goes smooth, why don’t they continue with re-care? Maybe because you just provided all the services as they expected. As expected … My wife is a gourmet cook, that may explain why I don’t get on a scale, friends and family love coming to our house because they are Wowed by whatever is put on the table. It’s always different and not what is expected. Your patients expect a certain environment when coming to the office and you provide it. It is nothing special just standard office protocol, friendly and efficient. What were the extras, a goody bag? Why does that patient “want” to come back and refer others? What was the WOW factor? The “WOW” factor … There was a great seen in the recently cancelled Netflix production of House of Cards. Frank Underwood stopped in at his favorite “Rib Joint”. The best barbeque ribs in the city was at a little broken down shop in a bad part of town. If the ribs were so good why was the shop so broken down? The consumers required to grow the shop chose to be in a different and more comfortable environment. Dr. Omar Reed was a top line dentist lecturing about the patient experience over 30 years ago. His philosophy was that your reception room (not a waiting room because your patients don’t wait) should be nicer then the patient’s living room. It is all about the packaging, delivery and providing the unexpected “environmental” extras. Unexpected extras … Your patient demographics will determine the level of success your practice achieves. A dental practice’s patient base is usually 10 years plus or minus the dentist’s age. This could be a time bomb for a healthy practice. Practices that are 20 years old tend to be set in their ways and everyday is business as usual. But, that 55 year old dentist is still relating to their own generation and not the one their kids are in. What are the extras that the millennials are not expecting? They are your patient base for the next 20 years. 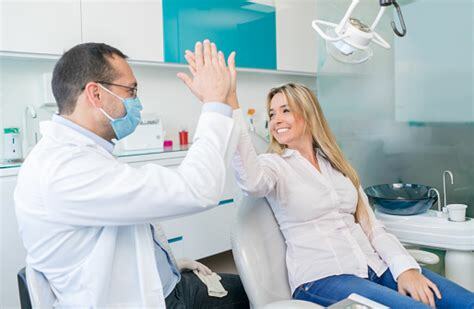 After a dental procedure the dentist should call the patient to make sure they are comfortable for the evening, but maybe they should text and younger patient, you will get an answer not a voice mail. What is the last thing the patient remembers? Check out! Check out … I never try to reinvent the wheel, I let other people do that and tailor concepts to my situation. This one was great! The office orders a dozen roses every morning. When a female patient is checking out they are given a rose at the same time you are scheduling their next visit. If it is a male patient, offer a rose for them to take home to their spouse, mom, significant other or anyone. That $2.00 flower buys more good will than you can imagine. Make a difference in your patient’s day, do the unexpected and they will remember. Please contact me with any questions or concerns.